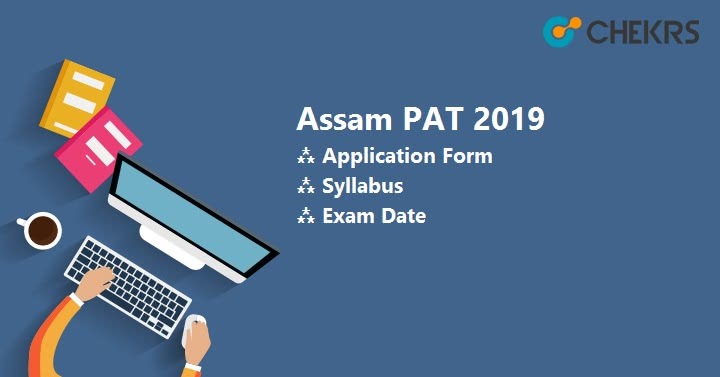 Assam PAT 2019: Polytechnic Admission Test is an annual state-level exam of Assam for the aspirants who seek to peruse Diploma in the Technical Field. Assam PAT is organized by the Directorate of Technical Education, Assam (DTEA) under the affiliation of State Council for Technical Education, Assam (SCTE). SCTE has the authority to conduct the Polytechnic Exam in Assam. Assam PAT offers admission in Diploma courses related to engineering/ management for the aspirants. The Assam PAT 2019 is scheduled in the 3rd week of May 2019. To get detailed information on it, read the full report given below. The Tentative Assam PAT Schedule is given below and we will update it whenever the official dates will be announced on the official website. Candidates have to visit the official website for the updated notification. The aspirant should hold the Indian Citizenship to be eligible. Aspirants must be the Local of the Assam i.e. Resident of Assam. It would require a proof i.e. Domicile certificate. For General category, the aspirant should have born on or before 1st August 1998. For SC/ST, the aspirant should have born on or before 1st August 1995. The aspirant should pass the 10th class with a recognized board. The aspirant must get 40% for Gen, 35% for SC/ST in qualify exam. The aspirant should get clear in one attempt only. He must have Mathematics and Sciences as a compulsory subject. The Application form will be available on the official website in the month of March 2019. Candidates have to fill the Assam PAT Registration Form online, The procedure and fee details are given below. Aspirants can find the link of application form from 3rd week of March 2019 to 4th week of April 2019. Click on it, it will redirect you to the Assam PAT Application Form. Once you see the form, start filing it. First of all, the aspirant should enter the Personal details like name, Address, email, mobile number. You should also enter the detail about your domicile for local reserve quota. Upload all the required documents, passport size photo (.jpg format with not more than 100 kb and signature (.jpg format with not more than 100 kb). You will get unique id and password. The next thing you do is pay the fees. For online you can pay through Debit / Credit Card /Net Banking or offline Challan. Select mode and pay the required fees in case of online. In case of offline, you have to print Challan and pay the challan in the bank. Verify every detail you entered is correct for Assam PAT Online Form. Now Submit the form and take the print out for the future source. The application Fees for the application form is Rs. 400/-. The Assam PAT Application Fees can be paid through Credit/ Debit Card or Net Banking online. Challan can be paid through any of the SBI branches. We are also providing Assam Exam Pattern and syllabus of the Assam PAT Exam. The Assam PAT Exam will be conducted in Offline mode. Other details are given in the table. Plan your strategy how you going to study daily with effective time management. Do cover the entire syllabus. You can divide your syllabus into easy and hard topics. Speed and Precision is an additional advantage to get high marks. Take 10 minutes break as to remove exam related stress or tiredness. Sample Papers are very important to prepare for the Entrance Test. They cover all the topics as well as those which are not in the book but have come in previous exams before. This will cover our entire syllabus. Assam PAT Online Mock Test will give you practice before the final exam as well as to increase your accuracy and speed. They will give you the idea of how you can better your performance in the final exam. ASSAM PAT hall ticket/Admit card will be released on the official website candidates will have to visit the official website and after login to the official website candidates can download the Assam Polytechnic Entrance Hall Ticket and the complete procedure is given below. Login with your details like unique Id (Application number) and password (DOB). Once you login then you will see a link Download Admit Card (Second week of May). Click on it and it will automatically start downloading Assam PAT Admit Card. After downloading it, take a print out of the admit card for the examination reference. The Assam PAT Answer Key will be accessible within the week after the exam date on various sites on the internet. Aspirants can match their answers with the answer key and calculate the approx. marks in the exam. The aspirant should go to the to the official website to check the Assam PAT Results 2019. Now find the result link on the page which will be available in the 1st week of June, 2019. Click on the result link. Enter your Application number and submit it. It will redirect you to your scored card and state level rank. Based on your result, the cutoff is released by the exam authority. Those who passed the cut off are only eligible for Assam PAT Counseling 2019. The counseling round will start in the 1st week of July 2019. All the candidates have to register them for the counselling procedure on the official website. After it, they will be allowed to fill their preferred choices. After submitting the choices, Assam PAT Seat Allotment procedure will be performed by the exam authority. The seat will be allotted to the eligible and qualified candidates on the basis of their Rank in Rank List, Exam performance, category, and seat availability. Candidates have to report to the allotted institute, where they will get admission after the document verification. The Spot counseling is conducted if the seats are vacant after all the rounds of counseling 2019.